The Times reported today that the British Government is blocking a deal for Paul and Rachel Chandler's release. The British couple were kidnapped by Somalian pirates in the Indian Ocean. Paul and Rachel may be facing a doomed fate as the British Government is blocking a deal for their release. A company that claimed to have had a deal for the release of Paul and Rachel Chandler said it was scuppered by the British Government's refusal to negotiate with hostage-takers and said today that it demanded to be allowed to arrange their release. The Guardian reported today that Miliband insisted that “the government would not get involved in any ransom payments to secure the Chandlers' release”. Miliband said he could not stop private individuals from pursuing a ransom deal, but it was not in Britain's interests to make concessions to hostage-takers. On the face of it Miliband’s stand can be easily understood. The foreign secretary could argue, for instance, that negotiating with pirates or other outlaws may expose more Brits to different security risks. Yet, it is very perplexing to find out that as much as Miliband is reluctant to interfere with the release of the abducted British couple, he rushed to voice his support in favour of the release of the IDF guard Gilad Shalit. 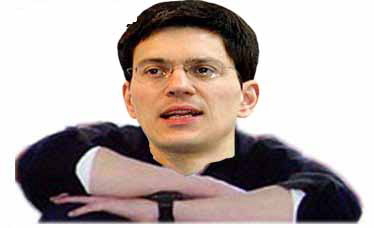 In spite of the fact that Shalit is not a British subject and was taken prisoner in a military action while serving as a guard in the biggest concentration camp known to man namely Gaza, Miliband was rather vocal in demanding his ‘immediate’ release. One would expect the Foreign Secretary to care primarily about British citizens rather than foreign soldiers who maintain an illegal occupation and the starvation of millions. Here is the transcription of Miliband’s emotional plea to Hamas. It is taken from a British official governmental site. It is perplexing to find out that Miliband showed far more ‘restraint’ in his support of his troubled fellow British citizens: Paul and Rachel Chandler. 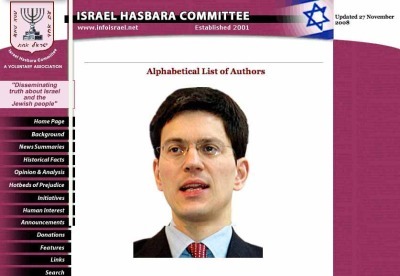 Bearing in mind that Miliband is listed as an Israeli Hasbara (propaganda) author on an official Israeli website, one way to explain it all may have something to do with the teaching of Rabbi Akiva. According to the Jewish Magazine, Rabbi Akiva teaches us that ‘Love your fellow Jew as you love yourself’ is the great general commandment of the Torah. According to the Magazine, Akiva is basing it on the verse, "and you shall love your fellow Jew, for I am the Lord, your G-d." The command to love your fellow Jew is one of the basic mitzvas of the Torah*. So much so, that Rabbi Akiva made this the pivotal point upon which all of the Torah is based. And yet with all due respect to the Torah, Rabbi Akiva and other Rabbis, Brits may expect their foreign minister to care for the British Chandlers at least as much as he cares for an IDF soldier Gilad Shalit. *This very Judeo-centric interpretation of Rabbi Akiva’s insight as a tribal bond is rather common within Jewish Rabbinical circles. However, it is crucial to mention that the Hebrew translation of Akiva’s insight is universal in its spirit. It could be translated as ‘love your neighbour as yourself’. As many scholars before have said, though Judaism could also be interpreted as a universal insight, in reality, the shift into a universal ethos was led primarily by Christianity which aimed to transcend itself beyond the tribal.